Sometimes it can be difficult to track down older crochet patterns, especially when they may have been offered by companies no longer doing business. 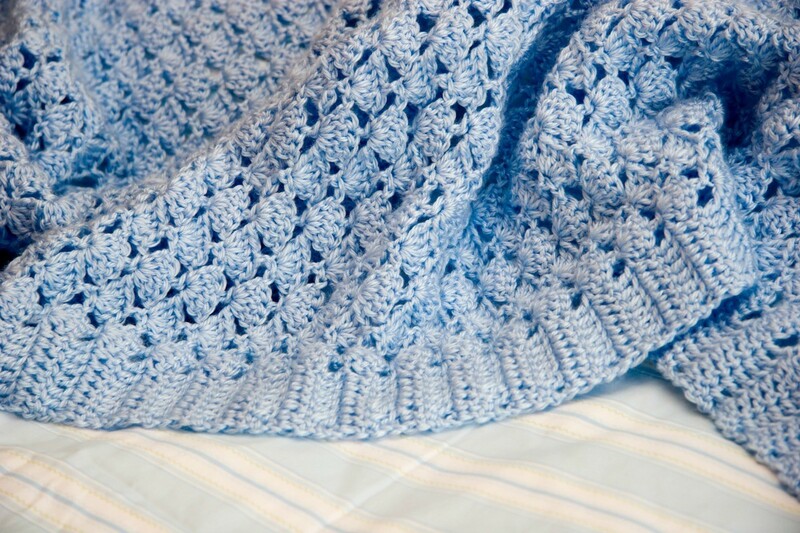 This guide offers some suggestions for finding a reversible shell baby blanket pattern. Where can I see a picture of the reversible baby afghan? Does anyone have a pattern for Lee Ward Reversible Shell Baby Afghan? I am looking for the same and have found this link. It is very similar. I am looking for a reversible shell baby blanket. The pattern was in a kit which I bought at Lee Wards in the 70"'s. Does anyone know where I can find it? Here is a link to many, many patterns. Hopefully you can find what you are looking for there. I have the pattern for the reversible shell baby afghan. I bought the kit from Lee Wards and crocheted it. I still have the pattern. If you still need the pattern contact me at jnndenk @ bresnan. net, put in the subject line: crochet baby afghan lee wards.